The fact that fractures are common in the subsurface have been known for at least the last century but the practice of treating reservoirs as fractured rock masses has been extremely slow in becoming a standard industry practice, despite that fact that fields with such reservoirs are known from SE Asia, the carbonates of the Middle East and much more recently, the basement West of the Shetlands. • You can’t predict the spatial distribution of open fractures in the subsurface based on a few cores, image logs, seismic etc. • Flow patterns can be very complex and difficult to predict; in-flow to a few wells doesn’t change this. • Simulation of dual-porosity (matrix + fractures) systems is very difficult and tends to be run on coarse grids, reducing predictive power. • Analogues are of limited use: maybe best avoided? All very different to normal sandstone reservoirs….. In addition, but on different scales of both dimension and time, it is believed that micro-fractures control basin-wide vertical migration of petroleum. Productive naturally fractured basement fields typically owe their hydrocarbon accumulations to the trapping mechanisms of buried hills and faulted margins. Basement reservoirs are therefore associated with large gross rock volumes and predominantly well-defined seismic signatures. Whilst the GRV envelope may offer relatively obvious drilling opportunities the success of exploration and appraisal drilling is dependent on the presence and sampling of a hydrodynamic fracture network the fluid flow properties of which are controlled by three key reservoir characteristics: (a) fracture connectivity; (b) the relative magnitude of fluid pressure and lithostatic pressure; and (c) the magnitude and orientation of the mean stress across the hydrodynamic fracture network. Geologists are therefore obliged to work with an understanding of these three key reservoir parameters and with global and local knowledge related to the specifics of naturally fractured basement. This case study presents how Hurricane has established a practical understanding of the key parameters that describe the hydrodynamic fracture network at Lancaster and used that understanding to predict where and how to place two successfully tested production wells. Dynamic and static modelling of the Lancaster field has led to reserve estimates which will be evaluated through an early production system. The early productions system is designed to be the first phase of a full field development targeting oil in 2019. The case study will present the philosophy and techniques that have been applied to evaluating Lancaster and will summarise the near-term data acquisition that will further aid in the prediction and modelling of the Lancaster hydrodynamic network. Kathy Kelly has worked as a Geophysicist in the Petroleum industry for over 30 years for a variety of companies including BG Group, Sasol Petroleum and Serica Energy. Kathy Joined Gulf Keystone in 2011 as Principal Geophysicist and after three years working in the London office transferred to Erbil to lead the sub-surface team in Kurdistan. She returned to London in April 2017 and has since been working as sub-surface manager based in the London office. Gulf Keystone Petroleum Ltd. (LSE: GKP) is a leading independent operator and producer in the Kurdistan Region of Iraq and the operator of the Shaikan oil field with current production capacity of 40,000 barrels of oil per day. Gulf Keystone was one of the first companies to see the potential of the region and in 2009 discovered the Shaikan field which was declared a commercial discovery in 2012. The Company operates one of today's largest onshore developments with a production capacity of 40,000 barrels of oil per day, with plans to increase to 55,000 bopd in the near term, and further beyond. The Company believes there remains significant upside potential in the Shaikan field and seeks to unlock this value through its development activity. Shane has 31 years' industry and research experience in the earth sciences and reservoir engineering. He began his career as an exploration geophysicist for South African mining companies, before moving into the oil industry. As a reservoir engineer, he has worked for Soekor, the South African national oil company and Energy Africa, a small independent. He worked for international consultancies for ten years before joining ERC Equipoise in 2012. Shane's specialist interest is numerical simulation, including fractured reservoirs, difficult waterfloods, gas storage, compositional models and enhanced oil recovery projects. He has a university education in geology and geophysics and a PhD in applied mathematics on the subject of numerical simulation of low permeability naturally fractured gas reservoirs. Shane is active in reserves estimating and reporting and is a United Kingdom Chartered Scientist and a founder member of the Europe Chapter of the Society of Petroleum Evaluation Engineers. He has experience in many parts of the world, particularly in West Africa and the Middle East. Jo joined Cambridge Carbonates Ltd in 2004, and became a director of the company a year later. She works as a consultant carbonate geologist, with recent focus on the Middle East, SE Asia, Barents Sea, the Adriatic, fractured carbonate reservoirs and hydrothermal dolomites. She has a breadth of experience ranging from new ventures and exploration work, reservoir characterisation projects, seismic expression of carbonates, fieldwork, and analysing large datasets for global trends. The presentation recounts early experience and argues that a comprehensive conceptual model of the stress-sensitive features of a reservoir, based on observations and measurements, can at least create a platform for cross-discipline discussion. Developments in methods for data generation and the modelling of the conceptual model have also lead to more comprehensive, affordable solutions. As is often the case, it is the extreme examples of a phenomenon that are recognised first, e.g. the subsidence and well-loss in Ekofisk being a classic example. It is argued that compaction-driven and other phenomena are pervasive, and may, for example, manifest themselves in important ways as reservoirs undergo maximum pressure-depletion as decommissioning approaches. 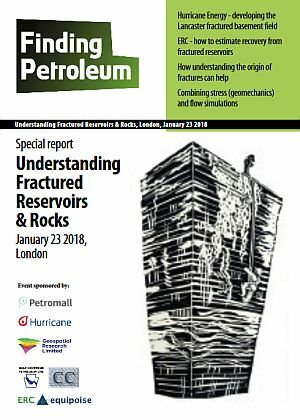 And of course the increasing importance of fractured reservoirs with their inherent stress-sensitivity has heightened interest in reservoir geomechanics.